Sub Base Platypus is now undergoing the second phase of its refurbishment as a public space. This phase will include the refurbishment of buildings 2 and 10 on the site’s lower level, and new and rejuvenated public spaces. 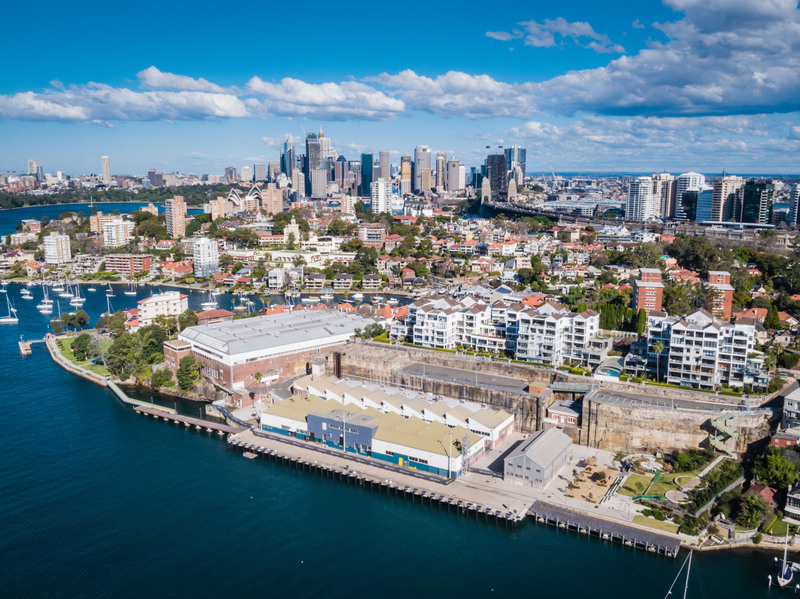 An open courtyard, adjacent to the new Kesterton Park Link, will serve as a connecting space between the upper car park and proposed mixed commercial use spaces as well as well as provide access to Kesterton Park and North Sydney Ferry Wharf. While introducing new public areas and base building refurbishments, the Harbour Trust intends to maintain the integrity of the site’s history. The site’s layered history will be reflected, including its Indigenous connection to the land, use as a gas works factory and its strong history as a naval base, HMAS Platypus. “This next stage will further open and activate the site for public enjoyment,” says Mary Darwell, Harbour Trust CEO. “Sub Base Platypus is proving popular with the playground and over-water walkway and the opening of further public space will enhance this area,” adds Trent Zimmerman, federal member for North Sydney and advocate of the Platypus Renewal Project. Refurbishment of the two buildings will incorporate new roofing, additional glazing and the creation of mezzanines to accommodate for new tenant needs. Both buildings will provide flow into newly landscaped public domains which will be freely accessible by the public. Sub Base Platypus was officially opened to the public in May 2018 with the completion of Kesterton Park overwater Link, Northern Park and Northern stairway. The public domains will remain open to the public during the Stage 1B works.